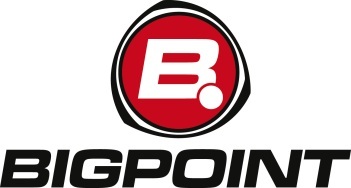 The Drakensang Online and DarkOrbit studio says it will no longer develop games in the U.S.
Bigpoint's foray in the U.S. marketplace has not ended well, as the studio announced today that more than 40 employees at its office in San Francisco, which only opened in 2010, have been laid off. "We have seen that developing games in the U.S. is not really the most efficient way for us at the moment," CEO Heiko Hubertz told GamesIndustry. "The games that we have developed in the last two years haven't been that successful, and the San Francisco area and Bay Area is quite a competitive market. San Francisco is, after New York, one of the most expensive cities you can live in in the U.S., so the people are quite expensive." The other 80 employees affected by the cuts are "administrative staff" at Bigpoint's Hamburg operation, which Hubertz said had to be let go after the company failed to meet yearly revenue projections. The cuts won't affect any projects currently underway, however, and he said that Bigpoint will continue to make new games. He also revealed that he is stepping down as CEO and will take a position as executive chairman of the company's supervisory board at the end of the year, although he said the move is unrelated to the layoffs. "For me it's very important, and there are private reasons," he explained. "I wanted to leave the company after ten years of very strong growth, very exciting times, launching many products in many countries - it was really tough times and I'm a little bit exhausted. I want to relax a little bit, travel the world and think about starting a family." Bigpoint's best-known game is probably the browser-based fantasy MMO Drakensang Online, but it also gained notoriety in late 2011 for introducing a $1300 item in its free-to-play game DarkOrbit.